Republicans conspired to save political face with a fake vote on Repeal & Replace and the American people have no clue as to just how easily they have been bamboozled. Former Speaker of the House John Boehner telegraphed the hidden truth just days before the epic fail, but has been consistent on this topic since 2016. I don’t come to this as a novice opinion maker. My background as one of the most listened to national radio hosts of the 90’s, my experience working for several Congressmen and women from 1994 through 1996 (Wes Cooley and Helen Chenoweth) and thousands of interviews with Political leaders over the decades has given me a unique talent for discernment on political matters. 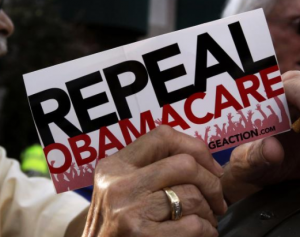 The republicans don’t actually want to repeal Obamacare. Of course there are exceptions, But they really have no ambition to back away from any entitlement. The reason is that it gives them POWER! And in political parlance, power is more valuable than gold. President and former Candidate Donald J. Trump is 100% accurate when he states that they are “All talk – No action” political hacks. The republicans resigned themselves to the smoke filled back rooms, not to carve out a masterful replacement for the ACA, but instead, to design a well planned conspiracy designed to trick GOP voters into thinking that they “voted” to repeal Obamacare without actually doing it. The “Maverick” two faced US Senator from AZ rides in on his white horse. The drama plays out as he drags himself out of his death bed to be there for “The American People”. And then we see him casting his victorious ballot to enter into debate, TV camera’s sending the courageous event to the 4 corners of the world, setting the tone for the big face saving fraud, the con, the scam that is the #fakevote to “Repeal & Replace” Obamacare. McCain of course, volunteers to be the straw man as his seat is safe for 6 more years, and there is little likelihood that he will survive the term. Behind this carefully crafted scheme to give the GOP political cover for the 2018 election cycle is the universal commitment of the SWAMP CRITTERS to destroy President Trump and deter any future outsiders from even considering a run at the White House ever again. The entrenched, embedded NWO establishment won! America lost. President Trump does have one card he might play. He could force Congress to surrender their Obamacare exemptions and make them live, at least partially under the draconian law that we know as the Affordable Care Act. I hope he does. NEXT POST Next post: Conservative Patriotic America First Writers Wanted!